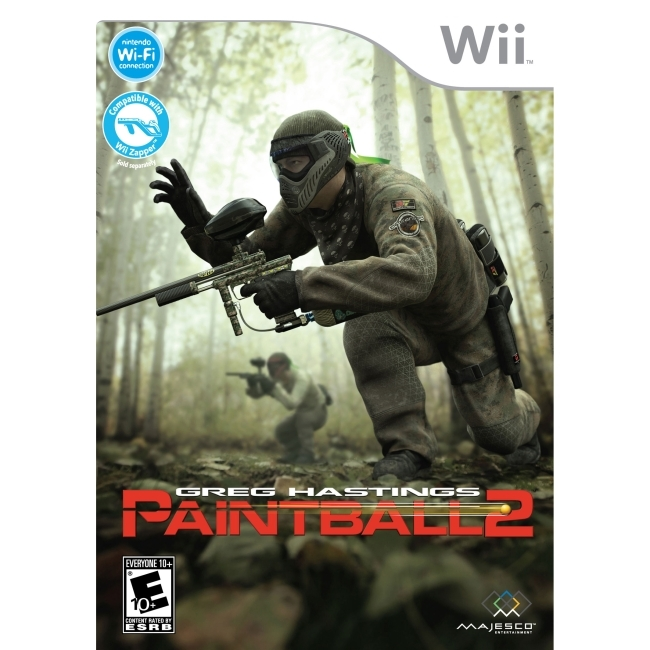 The most successful name in paintball games brings a host of new features to Wii with Greg Hastings Paintball 2! Brave the unpredictable elements on ultra realistic paintball fields in this intense first-person paintball experience. Get up to 20 friends together for fast-paced multiplayer action! Test your skills in brand new scenario modes, manage a team of skilled players, master a variety of new weapons, and more!